Finnish engineering designer Deltamarin has secured a contract for basic design of a floating production, storage and offloading (FPSO) unit for the North Sea’s £4Bn Kraken oilfield development. The vessel will be one of the biggest ever built for the North Sea. Deltamarin has been given the six month design contract by Malaysia’s Bumi Armada Berhad which was awarded a design and construct contract in November last year by Kraken field operator EnQuest, the UK’s biggest independent oil exploration and development company. The Kraken project is expected to generate 20,000 Oil and Gas jobs during the construction period with around 1,000 operational jobs in each year of the field’s expected 25 year life. Some 140 million barrels of oil are expected to be extracted from the two separate heavy oil fields in the development. Deltamarin has previously worked with Bumi Armada providing technical support for converting an oil tanker into an FPSO during the Front End Engineering Design (FEED) phase of the contract. 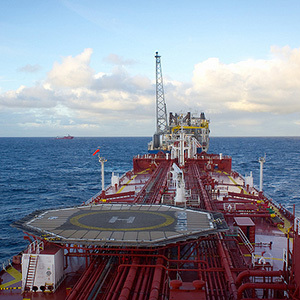 The FEED phase included development of a robust FPSO design that would cope with the harsh environment at Kraken which is some 125 kilometres east of the Shetland Islands. Deltamarin’s scope of work under the latest £3 million contract includes developing the FEED phase work into a class approved full basic package including naval architecture, structural and strength analysis, steel outfitting, marine/utility and heating, ventilation and air conditioning, health and safety and electric and instrumentation. The turret moored FPSO will be 285.41 metres long, and 50 metres wide with a storage capacity of 600,000 barrels.